Innovative IT provides quick and efficient HP Pavilion g7 series laptop repair services to customers located all over London and nationwide. 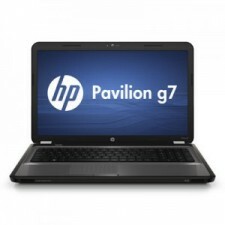 We have a team of certified professionals who are experienced to troubleshoot and repair any laptop computer model of the HP Pavilion g7 notebook series. At Innovative IT, we perform quality HP Pavilion g7 series laptop repair services including repair, replacement, upgrade and maintenance services. Equipped with advanced tools and technology, we can fix software corruptions and hardware conflicts and issues down to the component level. We can rectify laptop problems such as laptop hanging / freezing, notebook will not start up or boot up, laptop overheating, no video / display, Wi-Fi connection problems, faulty power supply, CD / DVD drive not working, LCD display with vertical or horizontal lines, blank and black laptop screen, keyboard or touchpad not working, notebook has no power or will not turn on, BIOS issues, laptop fan is making loud weird noises or is not working, AC adapter problem, unusual grinding noises from hard drive, low disk space warning, hard drive errors, battery charging issues, distorted / garbled / scrambled video, laptop locks up intermittently, experiencing problems with your Wireless LAN connection, device driver issues, virus or malware infection, cracked or broken LCD screen, corrupted / missing / deleted data, laptop graphics processing unit (GPU) or graphics chipset failure, notebook shuts off intermittently without any warning, burning smell from DC power jack area, notebook displays some random characters on the screen, laptop liquid damage, DC jack on the laptop computer is loose or damaged, and other component level issues. All repairs, upgrade and replacement services we provide for the entire HP Pavilion g7 notebook series are backed by a 90 day warranty for parts and labour. Some of the common laptop models we have fixed effectively include g7-1001xx, g7-1075nr, g7-1070us, g7-1076nr, g7-1017cl, g7-1033cl, g7-1051xx, g7-1019wm, g7-1073nr, g7-1075dx, g7-1081nr, g7-1077nr, g7-1083nr and g7-1084nr. With nationwide mail-in HP Pavilion g7 series laptop repair and support services we deliver cost-effective repair solutions for our commercial and residential clients. Customers can either drop in anytime during our office hours or ship the laptop to our Central London store. We also arrange hassle-free laptop computer pickup and delivery option all over the UK. We are open 6 days a week, from Monday to Saturday, 9:00 AM to 6:00 PM. For further assistance regarding our London and nationwide HP Pavilion g7 series laptop repair and upgrade services, please contact us at 020 7237 6805 or email us at info@innovativeit.co.uk.